Spring Cleaning Discount on Employee Handbooks! So… maybe you planned to update your Employee Handbook to get it legally compliant back in January… in February… March… and in April. Yes, it’s May. Want some help? It costs only $750 for our attorneys to get the job done for you – if you contract for services this week! If you have an employee handbook… our attorneys can review your handbook and revise it to reflect current legal requirements – making sure required policies are included. If you don’t have an employee handbook… our attorneys can draft a handbook for you. Contact us at (858) 753-1775 or write to us at jillian@lmrcenter.com – let us help! This entry was posted in 2017 employment law update, business management consultation san diego, business management group san diego, business management san diego discount, discrimination prevention training, employee handbook discount san diego, employee handbook review san diego, employee handbook san diego, employee handbook update san diego, Employee Handbooks, employment law, employment law consultation san diego, employment law san diego, employment law san diego discount, employment law update, harassment prevention training online, HR consultants San Diego, HRCI credits, human resource, human resource consultant, human resource group san diego, human resource san diego meeting, human resources, human resources consultation san diego, human resources event san diego, human resources group san diego, human resources roundtable San Diego, human resources san diego, human resources san diego discount, new employment laws, on-site harassment prevention training, online harassment prevention training, online sexual harassment prevention training, online training, Performance management, Workplace Laws and tagged business law, business management, employee handbook, employment law, human resources on May 9, 2017 by Law & Management Resource Center. Your Law and Management Resource Center March 2015 Newsletter is now available! 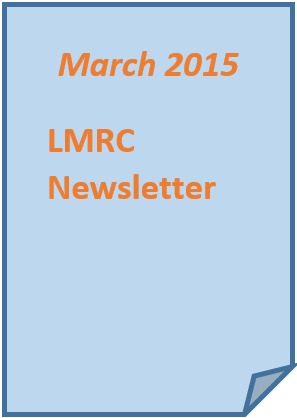 Click here to view: March 2015 LMRC Newsletter. Please feel free to share it with others who may be interested! For more information on how LMRC can help you and your business, contact Jillian Bruni, MBA at jillian@lmrcenter.com or 858-753-1775. This entry was posted in business law san diego, business management group san diego, business management san diego discount, employment law san diego, human resources group san diego, human resources san diego, presentation skills coaching San Diego and tagged business law san diego, business management group san diego, business management san diego, employment law san diego, human resources group san diego, human resources san diego, instant app coder, presentation skills san diego on March 24, 2015 by Law & Management Resource Center.